The Carbon Infinity has one simple set of controls which can be mastered in minutes and with high durability, safety & quality levels incorporated as standard. 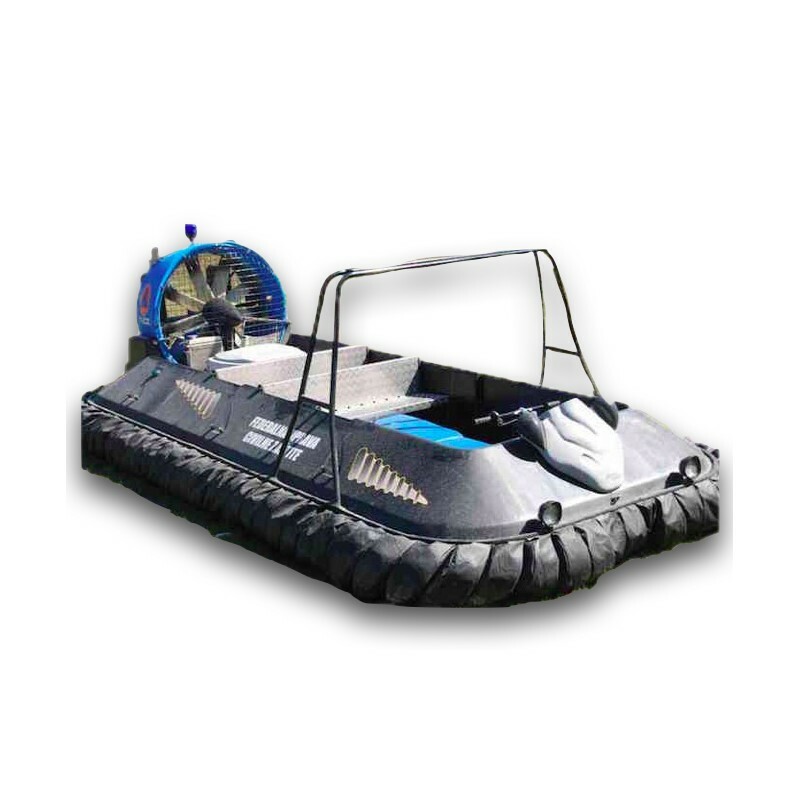 It can operate with ease over mud, riverbeds, tidal regions, rapids, shingle beaches, open water, grass, sand, swamps, marshland, weeds, submerged plants, snow, desert, ice, roads, shallow lakes & dried up salt marshes. 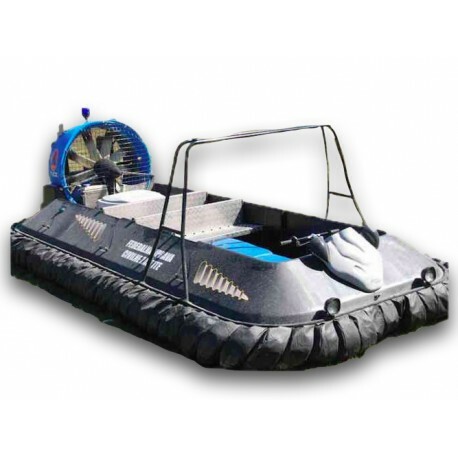 The hull Carbon Infinity is uniquely manufactured entirely from carbon fiber and Kevlar with a HDPE duct which means it is lightweight, extremely buoyant, and able to take all terrain punishment all day long from ice, flooding debris, stones, rocks logs and other obstructions. 5 year warranty on hull. 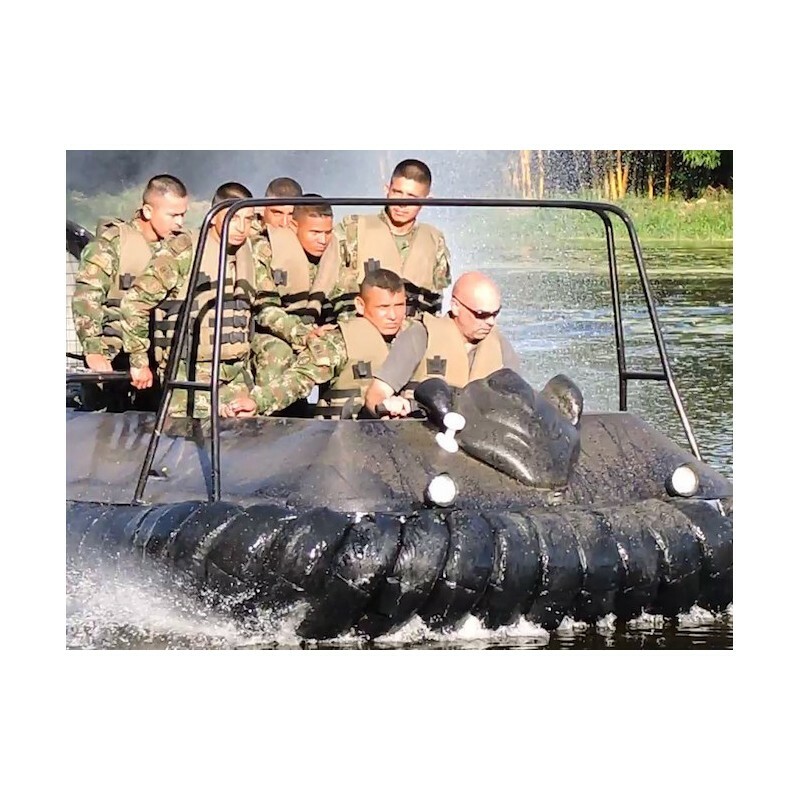 The Carbon Infinity skirt material is a proprietary developed polyurethane / nylon weave & fabric combination with excellent anti-rip properties, double layer reinforcing & incredible wear resistance for continued operational capability & high speed safety. Infinity standard hull color, Carbon infinity hull can be sprayed any color. 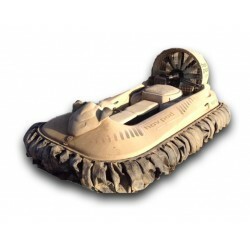 The 2017 Carbon Infinity is the first Truck Styled medium duty hovercraft engineered to be an all-terrain workhorse, the Infinity is affordable, easy to purchase, operate and use. Hov Pod Carbon Infinity are low maintenance and built to last. Carbon Infinity deliver a huge return on investment by completing missions, saving lives, reducing travel time, flying over unforgiving terrain or transporting people and products to places no other vehicle can go. 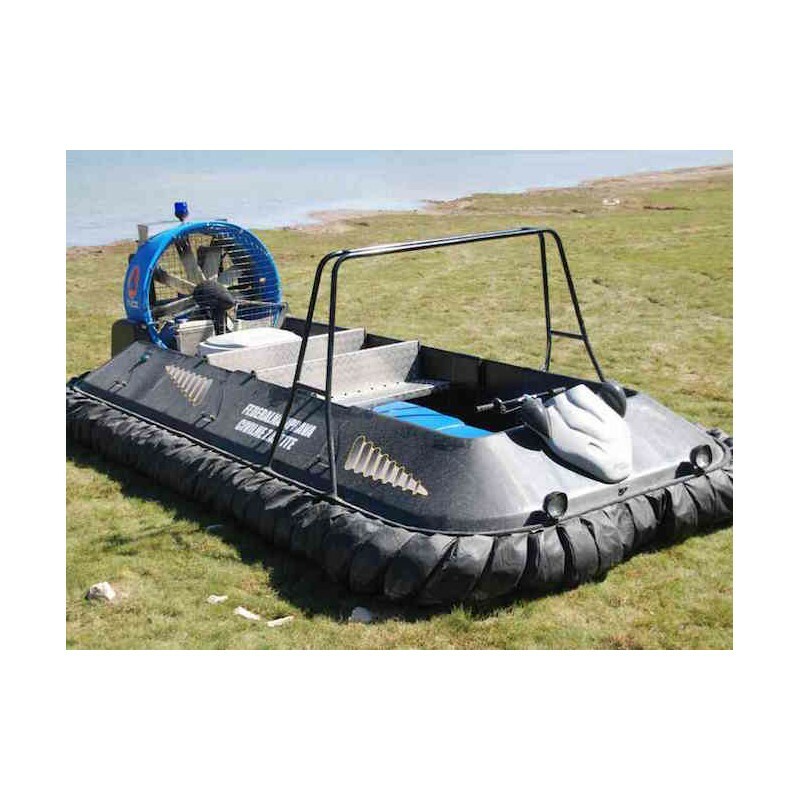 Seating Max Total: 4-7 Water, 7-9 Ice, smooth mud, hard wet sand. Front inline seating for 2 and large cargo bay. Front Inline seating for 2, 1 bench for up to 3, small cargo area. 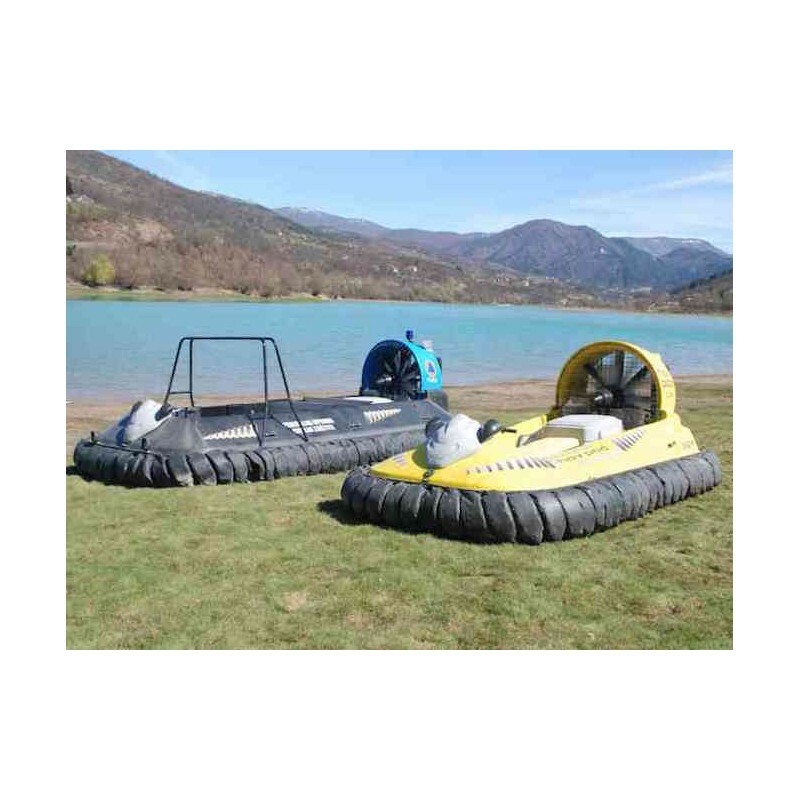 The Carbon Infinity is the only production hovercraft to exploit Carbon Kevlar composite and HDPE. 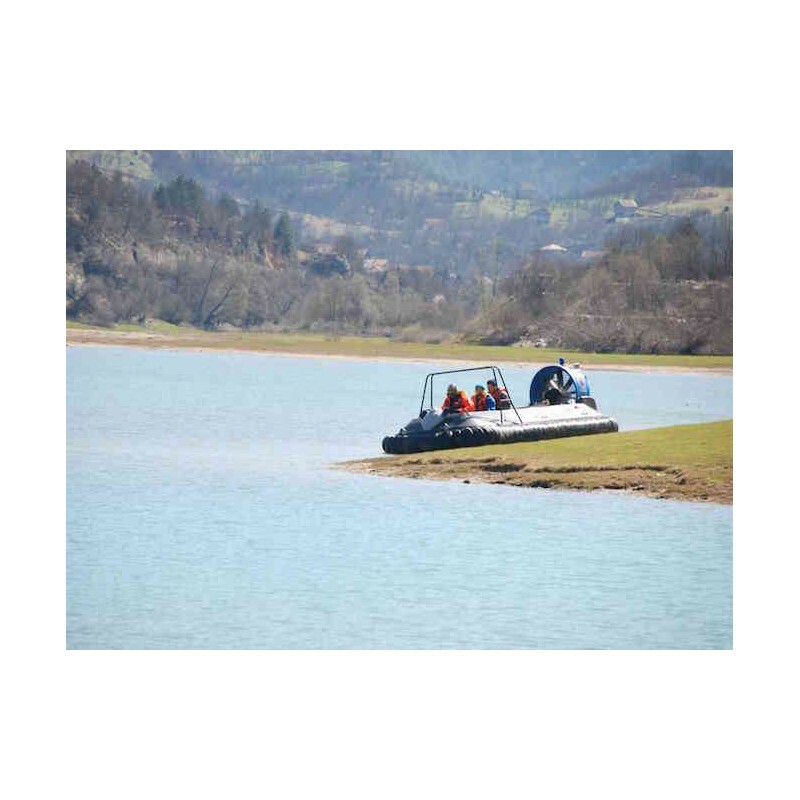 All-terrain vehicles need to be very strong & take punishment in day to day use over ice, water debris, stones, rocks, rough terrain and bumps and dips in the surface. The weight to strength ratio for our hulls is vastly superior to glass fibre which is why HDPE & Kevlar/Carbon composites are used in a wide range of applications such as for rough water kayaks (that continually hit and ride off submerged rocks) and race track crash barriers. This ensures that the Hov Pod is lightweight, extremely buoyant, yet far stronger & more impact resistant than brittle glass fibre (GRP) which cracks & breaks on impact. Kevlar/Carbon Fibre provides incredible strength with superior performance / payload to price point. • Cruise Awning (protection for use while craft operating). • Stationary Awning (protection from sun/rain when stopped). • Military Specification Radiator for use in hot and/or dirty conditions. • Additional Buoyancy (Extra reserve Buoyancy & USCG). • Fuel gauge and fuel tank sender unit. • Commercial Specification upgrade. (CSU+) kit with Increased Strength Hull, military specification high temperature cooling system, mid ships gantry for observer support &/or radar/thermal camera mount (radar/camera not included), two 12-volt supply points. 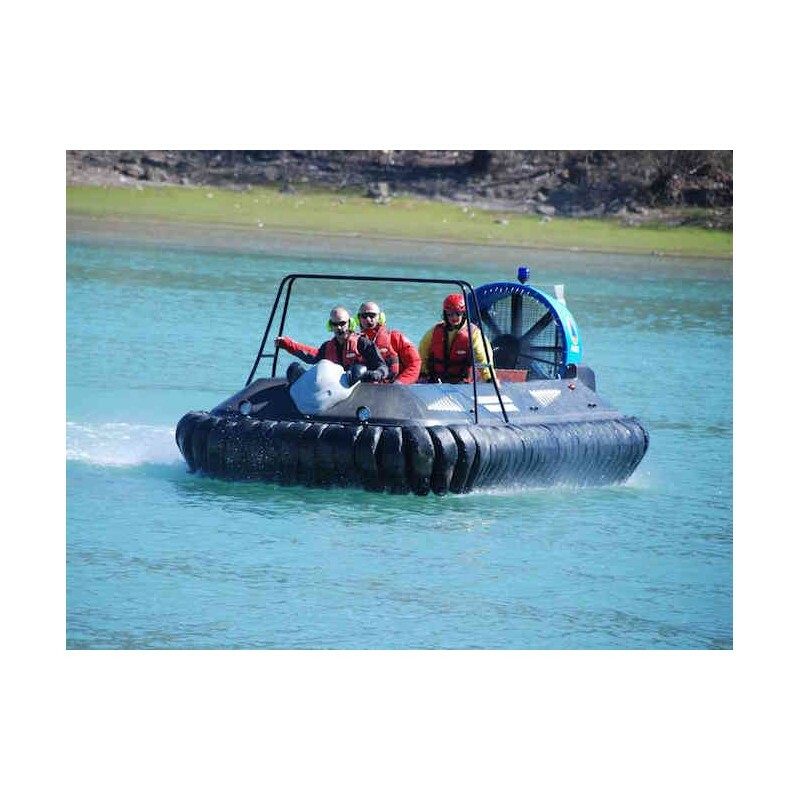 Recommended for commercial, patrol, rescue, survey, and superyacht use. • Infinity Fire Fighting Option can be configured with 120 litre AFFF foam tank, 22HP Fire pump with 1 monitor outlet and/or 1 hand line branch pipe outlet, 200 gallons/min at 100psi up to over 500 gallons/min at 15psi, or for Flood Relief 500 gallons/min at 15psi drainage pumping. Please note: this product is customisable to meet your specific requirements. Please contact us form more information.